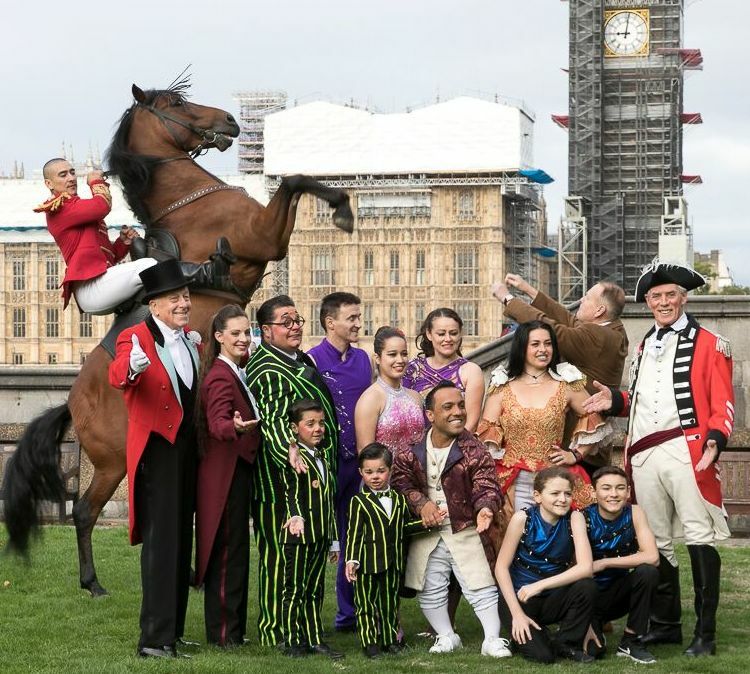 Mr Astley joins artistes and horse from Zippo’s Circus to inaugurate a commemorative flagstone at the Garden of St Thomas’s Hospital, Lambeth, London SE1 7EW. The flagstone was proposed and funded by Martin Burton, founder and director of Zippo’s. The Astleys found instant success with their performances in 1768 at Ha’penny Hatch, Lambeth Marsh (see separate article under our Stories menu). From 1769, they performed at a former timber yard on the south side of Westminster Bridge. As time went on, the site was developed to be The Royal Grove, and later under a title which found the most enduring fame - Astley’s Amphitheatre of Equestrian Arts. Described by Dickens, recorded by Austen and Thackeray, rebuilt twice after disastrous fires, the Amphitheatre was a much-loved London resort until its final closure and demolition at the behest of the authorities in 1893. Despite its central role in entertainment history, and despite also the world-wide cultural significance of the circus arts which Philip Astley originated and promoted, there has been no lasting memento of the famous building, Thanks to the initiative of Martin Burton, founder and director of Zippo’s Circus and Cirque Berserk! , that omission has now been rectified. A group of artistes from Zippo’s Circus joined their boss and Mr Astley (aka Centre for Circus Culture director Chris Barltrop) to inaugurate an inscribed flagstone, laid in the Hospital garden at a point which is likely to have been the front entrance to Astley’s.